It isn’t quite as hot today, but the accumulation of heat over the last few days, has made the house most uncomfortable, especially for Chauncey. I am not taking any chances with my 15 yr. old Cocker, so I turned on the air-conditioning. It has made it nicer for all of us, and I suspect, now that the house is cooler, I’ll be able to turn the air-conditioning off tonight. 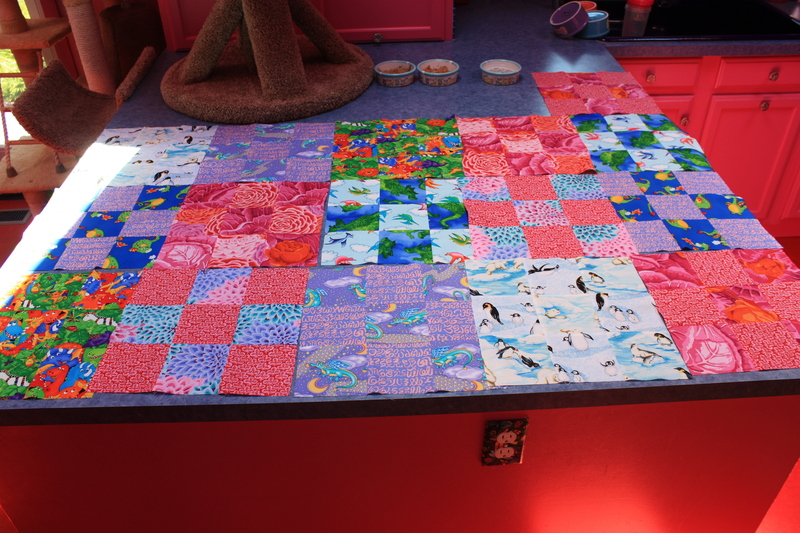 Meanwhile, this morning I sewed all sixteen of the nine-patch squares for my bed quilt. Tomorrow I should be able to do the sixteen rail squares and then I’ll be ready to lay out the quilt. After that, I read another review novel, Claire and Present Danger by Gillian Roberts. It is part of a series and this is the third in the series that I have been able to review. I really am enjoying them and plan to read all of them from the beginning even if they aren’t for reviews.